Are you in for a promo? 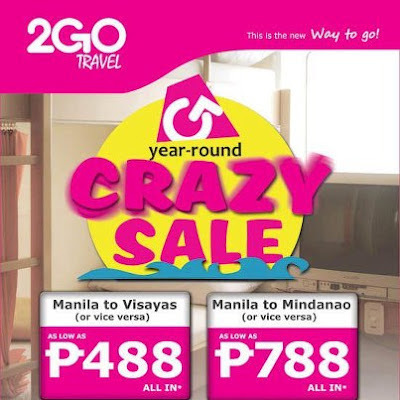 If you go to Mall of Asia Complex in Pasay City, 2GO Travel is sharing out a SALE promo of their trips. Now, if you are travelling in the next months to come, grab this opportunity now on sail with SuperFerry Philippines! You know what to do. Hurry!